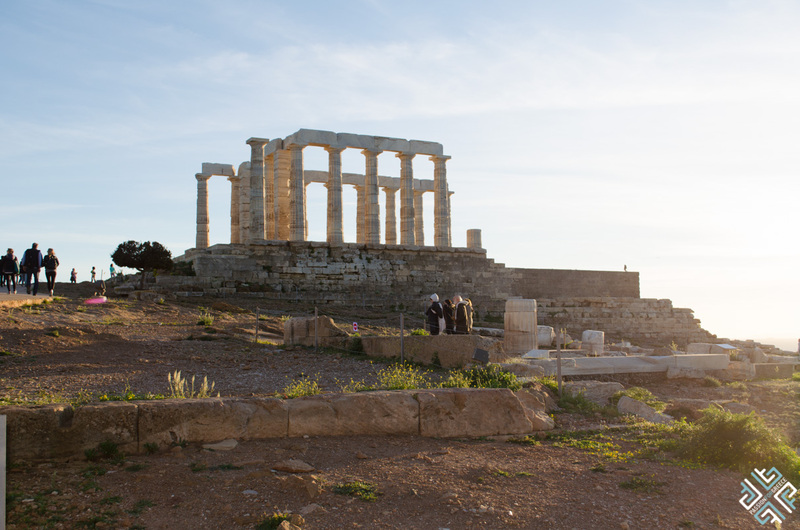 If you are interested in the Ancient history of Greece and don’t mind travelling a bit further down the coast, about 70 minutes from the center of Athens, then Cape Sounion will not disappoint you. In fact you will be enthralled by its gloriousness. You will find it after Varkiza which is after Vouliagmeni. After Varkiza there is a nice long drive down the coast which is beautiful to experience on a cloudless day and you can see the line of the horizon and deep blue meets sky blue. 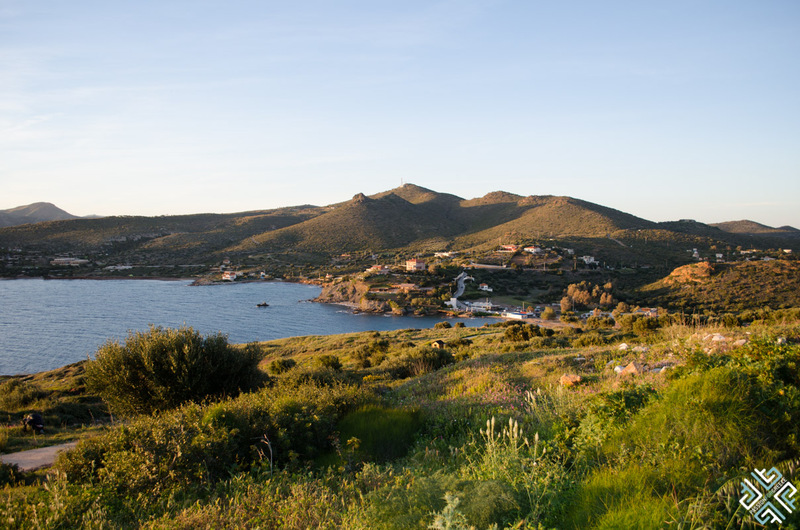 Typically since Athenians don’t miss a chance to dip in the sea, the journey down the coast from Varkiza to Cape Sounio is filled with beach bars wherever the landscape of the beach allows it. And that is often! The weather in Greece is a true blessing from nature! The beach bars are entrance free, and sunbeds and umbrellas are offered if you consume something from the bar. You will eventually get to Lagonisi and Saronida. These are residential areas overlooking the sea and are more populated during the summer months. 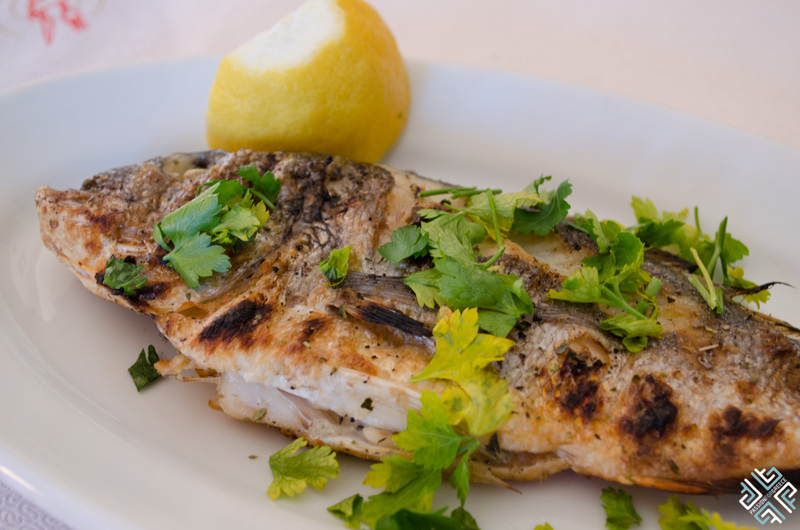 Around these areas you will find a variety of small tavernas that are literally on the beach, offering an always fresh selection of fish and you can peruse the display and choose the catch of the day that you want on your plate! Lagonisi and Saronida have a few night clubs and bars between them, some are actually on the beach and you can enjoy a drink or two and feel like you’re almost at a beach party! A few beach parties also take place at various locations down the coast. They are mainly communicated through social media Facebook, Twitter, and usually its people who offer to DJ to different styles of music each time, mostly dub and house, bring your own booze situation, and a ready to meet and great mentality – you’re good to go! The beaches of course buzzing during the day, you can either choose to grab your towel and lay it where ever you sit most fit for your swim, or you can go to Eden beach, and organized beach area which offers sun beds and a top notch refreshment bar, which also serves healthy fruit smoothie options, as well as snacks, pizza; lush cocktails and chilling beers are also on the bill. A resident DJ plays hot hits and interesting remixes, and there is also a water sports center and beach ball court! 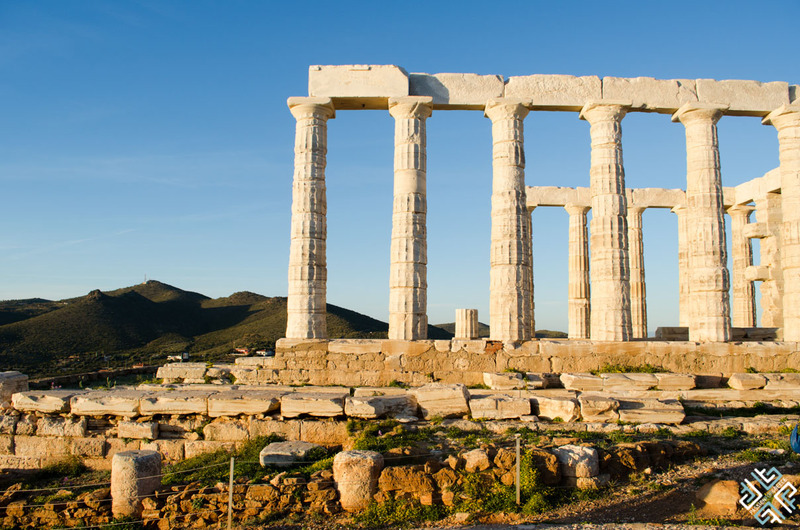 Once you arrive in Sounio, there one place you want to go, and that’s the Temple of Poseidon, dating back to 440 B.C., dedicated to the Ancient God of the Sea. 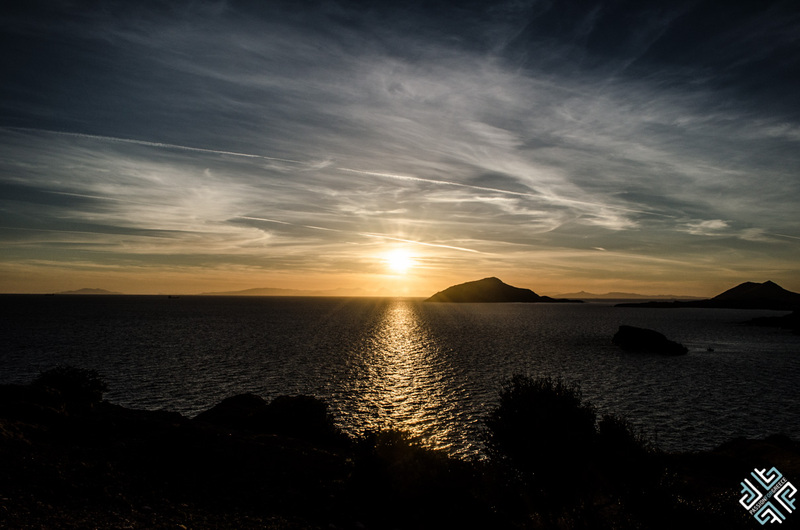 Mythology has said, that that was the point from which Aegeus, King of Athens, plunged to this death off the cliff, thus giving his name to the Aegean Sea. The reason behind this act of despair was because he thought his son Theseus had been killed in a battle against the mighty minotaur beast in Crete. That tragic day, as Aegeus was scanning the deep blue sea before him in search for his son’s ship to return white sailed from Crete, which would signify a triumphant return and with Theseus alive and well, he discerned in the blueness a black sailed ship, the black sails that Theseus’ ship wore when they sailed off from the greater city of Athens. Be sure to take a few deep breaths and enjoy the beauty and serenity of that ancient place, so laced with tragic regal irony of 2454 years ago… Make a day excursion of it, start around the afternoon and choose a nice tavern to have a light lunch, then drive down the Sounio in time to see the temple in daylight and why not aim to get there a bit later and enjoy the magnificent sunset at the Temple of Poseidon! Later you can get a catch of the day dinner, and then enjoy a nice Dodoni ice-cream at Saronida or hit the cocktail hour a tad bit sooner! Either way you decide to go, you’re in for a Passion for Greece experience!